Participate in a Mexico Missions Trip! I would like to officially announce that Gord and Carol Taylor (Youth leader - Naomi’s parents) are leading another Spring Break Missions Trip down to Guerrero, Mexico this year with Heart Ministry. They are former members of our church and used to be missionaries in Mexico for 7 years. They have extended to us an invitation to join. I know some of you have done a similar trip in the past. The dates for this years trip are March 17-24th, 2018. That is the first week of the Spring Break. The missions trip would be building a house for a family in need in the rural Baja area. If you are interested in finding out more information about joining this Missions trip then please email myself or the church at info@redemptionchurch.ca. We have a few families already interested in going so we would love to put the invite out to anyone else who might be interested in joining a team from our church. 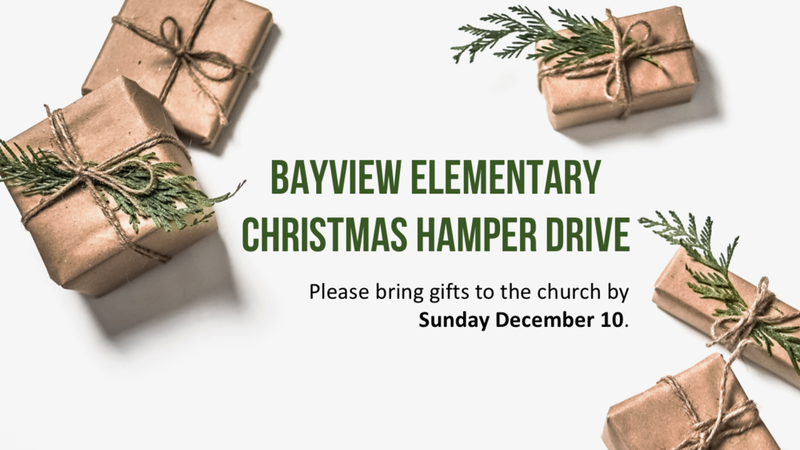 This season we're helping families from Bayview Elementary School across the street by collecting items for Christmas hampers. If you are able to contribute a gift to these families, join us as we bless these families this Christmas season! For privacy reasons, we will not be posting the list of families online, but feel free to speak to Sarah or email her at sarah@redemptionchurch.ca for more details. The list below is a general list of the age groups and genders. If you'd like to contribute, please place items in the designated bins that are located to the right of the stage by Sunday, December 10. * Please note that the items need to be new as these hampers are given as gifts to the families. 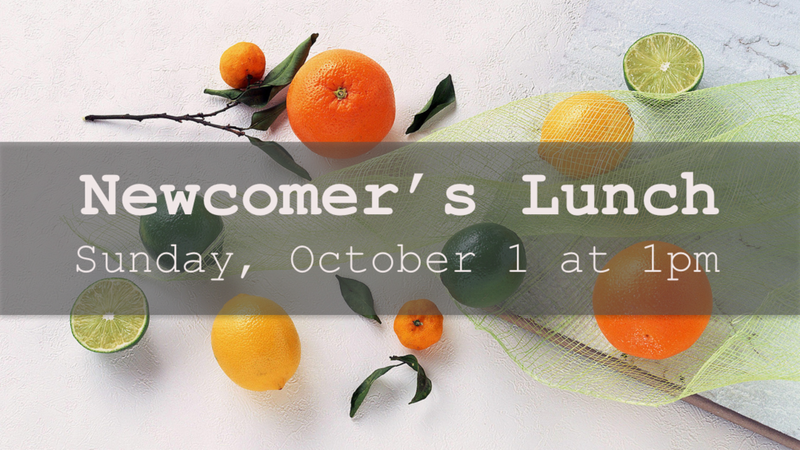 To welcome everyone returning from summer break and newcomers, we’re having a Welcome Back Party on Sunday, September 17th after both services! Stick around after service for some great food, games & activities, and to spend time catching up and making new friends! Want to join us making this happen? Contact Sarah at sarah@redemptionchurch.ca! If you're looking for a fun activity to do over the summer, come and join us for our family-friendly neighbourhood movie nights at the church! 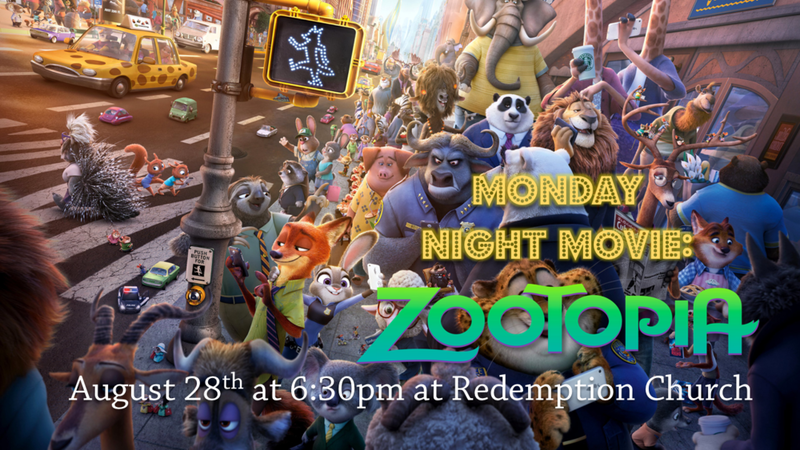 This week's feature will be Zootopia on Monday, August 28th at 6:30pm. This week's feature will be Swiss Family Robinson on Monday, August 21st at 6:30pm. This week's feature will be the Lion, the Witch, and the Wardrobe on Monday, August 14th at 6:30pm. 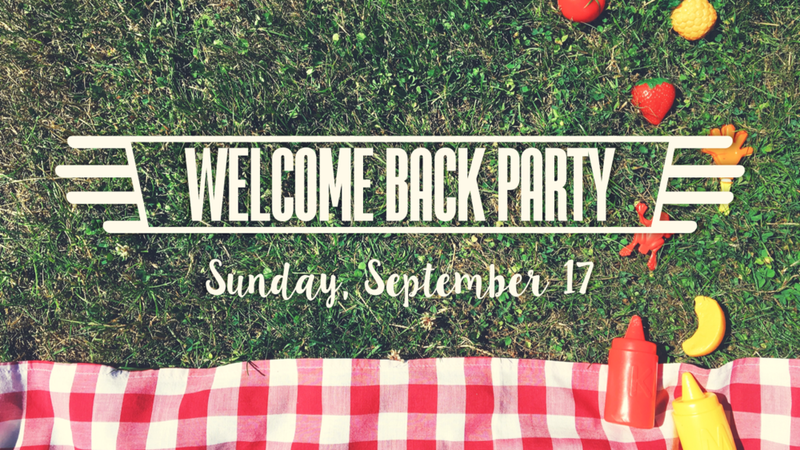 After the service on Sunday, August 13th, we will be having a backyard BBQ at the church! Join us as we heat up our grills for some great food and spend time with great people (that's you!). We'll provide the burgers (there will be vegetarian and gluten-free options) and salad. If you are able, bring some sides, drinks, or desserts to share. A $5 donation is appreciated. We are now over three weeks into the evacuation from BC wildfires -- thanks to a good response from local governments and other agencies, much of the immediate needs for the evacuated families have been met. Those evacuated from their homes have received food, water and hygiene supplies. However, emergency funds will end when the evacuation orders are lifted. As families return to their homes, there will be a great need to purchase groceries and other household essentials. For many vulnerable families that are uninsured or live pay cheque-to-pay cheque and haven't had work for the past couple weeks, the expenses are too much. This program is run through local churches in the most-affected communities in the region, and will also position churches to be a blessing to their local community. Your donations are greatly appreciated. Thank you for your support.